After many hugs and kisses, Yiayia and Papou were whisked away by a taxi and we made our way to the Rome Central Termini to pick up our car rental for our drive to Positano. 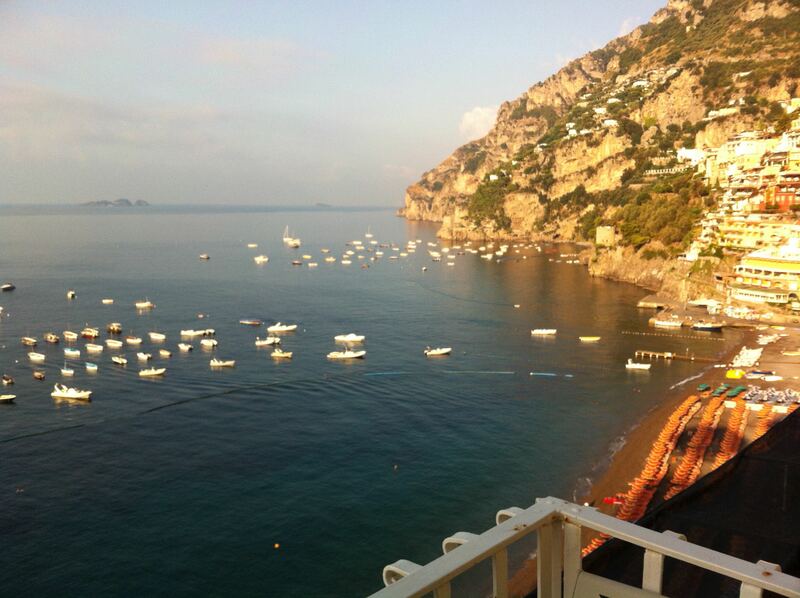 A two and a half hour drive from Rome we skirted Naples and Pompeii until finally reaching the Amalfi Coast. A boring freeway drive until you exit the freeway and hit the famous winding roads hugging the cliffs. The road is narrow barely fitting two cars with a sheer drop into the ocean on one side and a cliff wall on the other. As passengers we were able to enjoy the jaw dropping scenery but poor John had to keep his eyes on the road. A moments glance could have you in a collision or over a cliff in a heartbeat. Adding to the stress of the drive is the parts of the road that have been washed away over a year ago and are still to be built.Then there are the motor scooters whizzing by overtaking on everly blind corner. Of course there is the local bus that drives 100km per hour to worry about and too the horn if you are too slow. 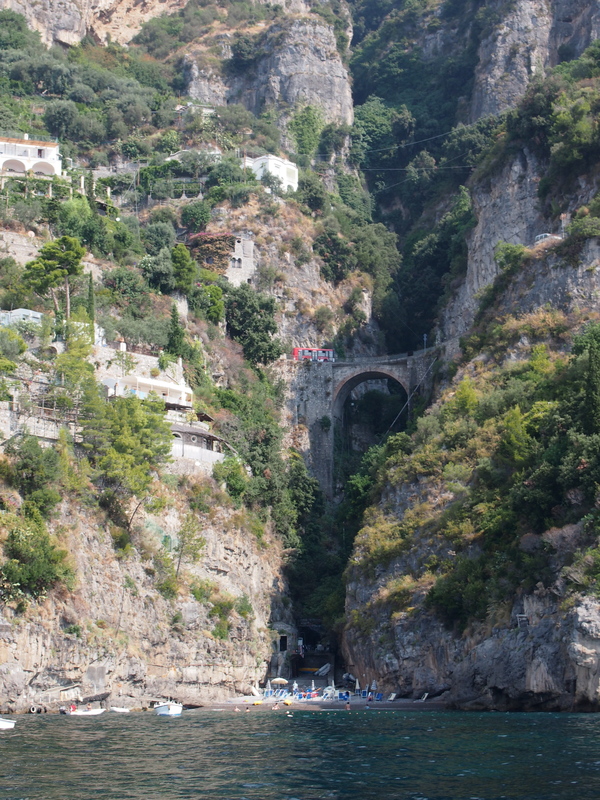 Once you reach the town of Positano there is the added bonus of pedestrians walking on the side of the narrow road leading you into the town, so narrow you could touch the sides of the building while driving by. The drive to our hotel was definitely an experience and once our car was parked in the hotels garage we didn’t dare think of taking a drive anywhere. 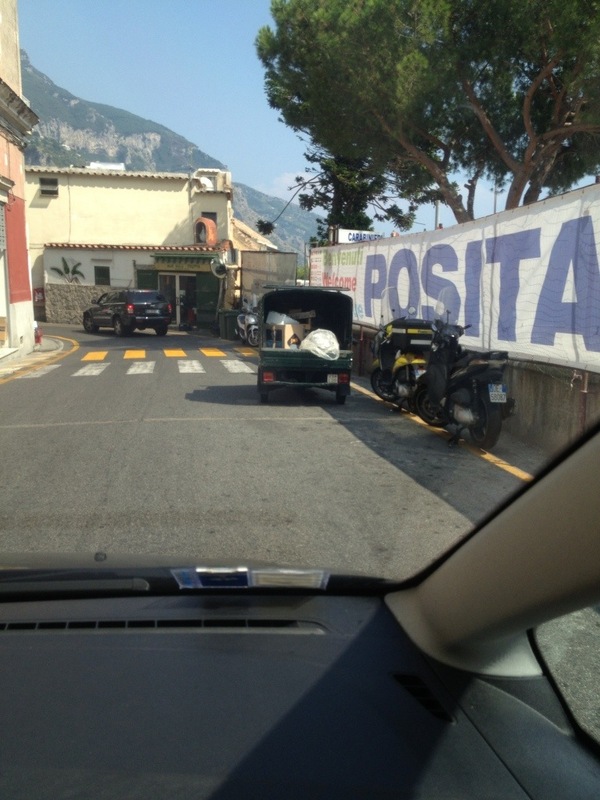 Arriving into Positano – a nail biting experience! We picked our hotel perfectly staying at The Hotel Marincanto, a boutique 4 star property precariously sitting on the edge of the cliff just like so many other homes and hotels in this area. 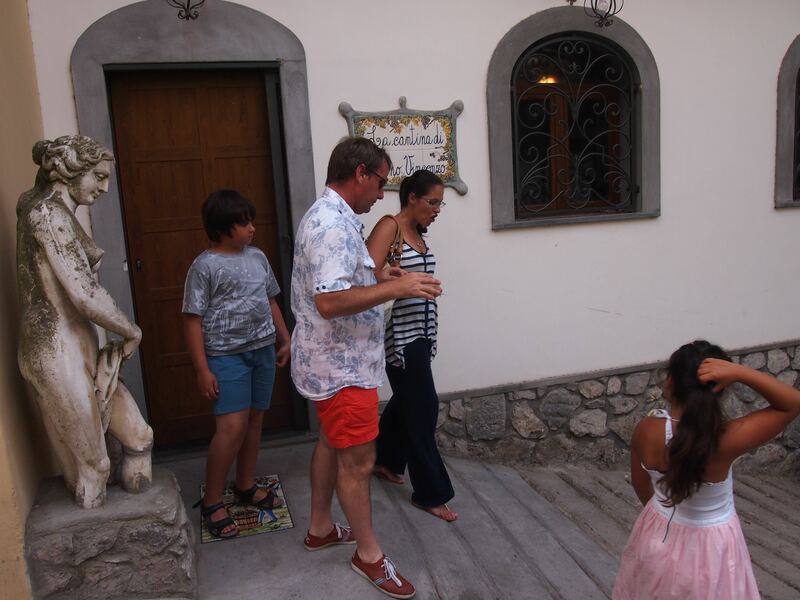 Enza was the best host anyone could ask for, she was happy to oblige any request and was full of advice and recommendations for sightseeing and food in the area. Gianni made us feel like he was at our beck and call even though he was the only pool guy/waiter serving all the guests at the hotel. He had Lucas’ number the moment we arrived, calling him the “Manager” for the duration of our stay. 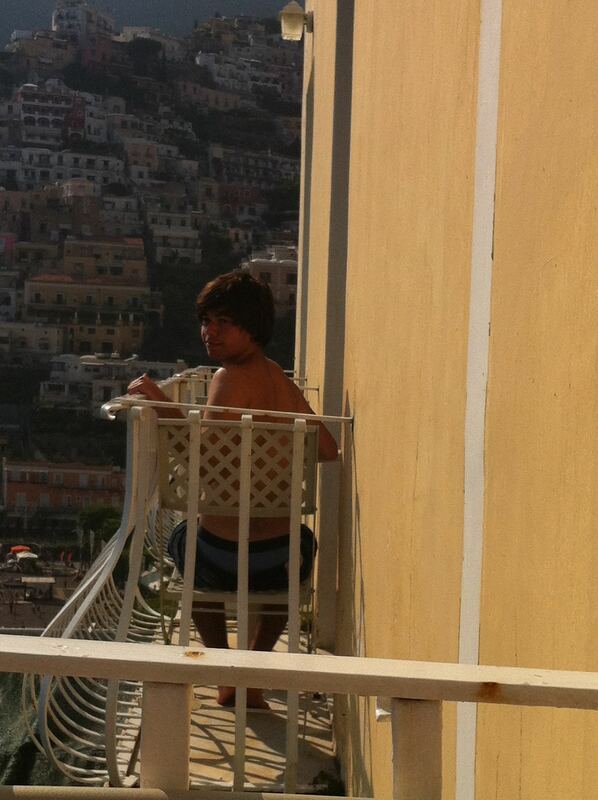 The views from our little balcony were breathtaking and it was the perfect base for exploring the town. 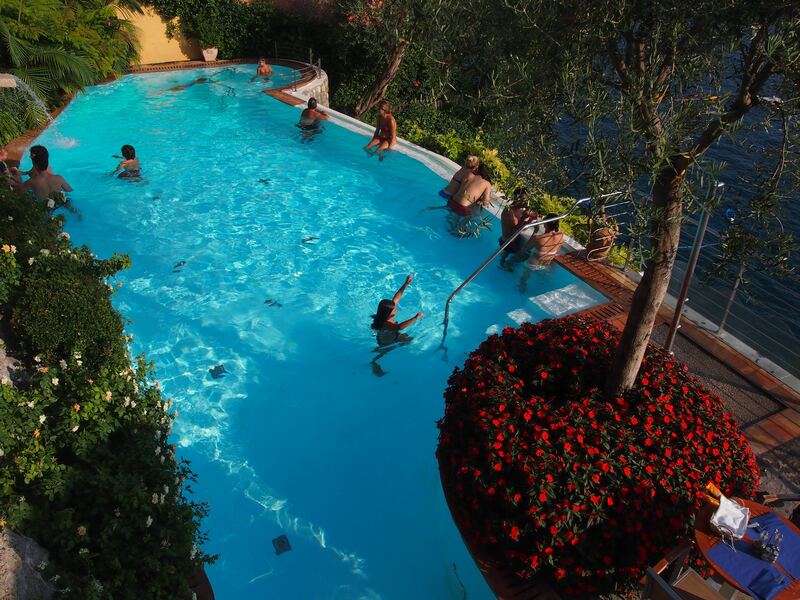 The pool area was magnificent, the kids would jump in the moment we would walk back from a day out and about in the town. We would sit back and enjoy a glass of wine while the sun set over this beautiful region. 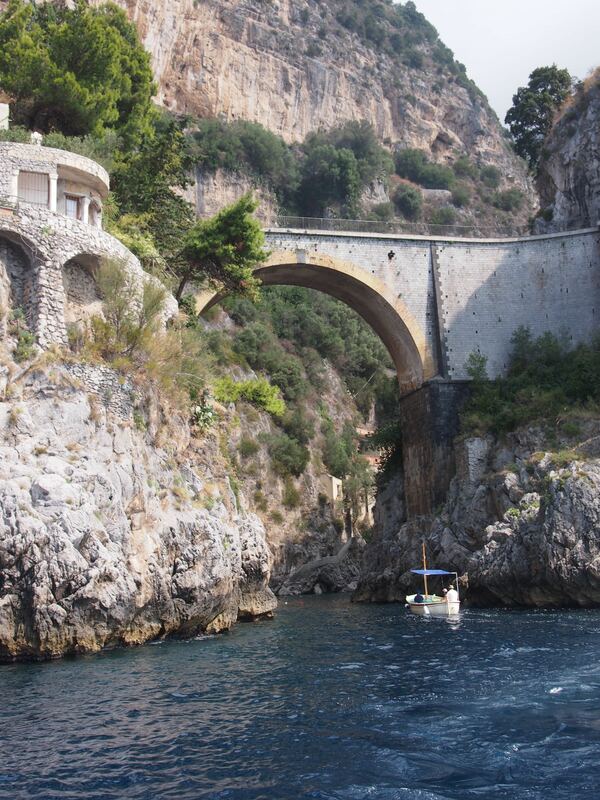 One of Enza’s recommendations was to experience this breathtaking coast from the water. 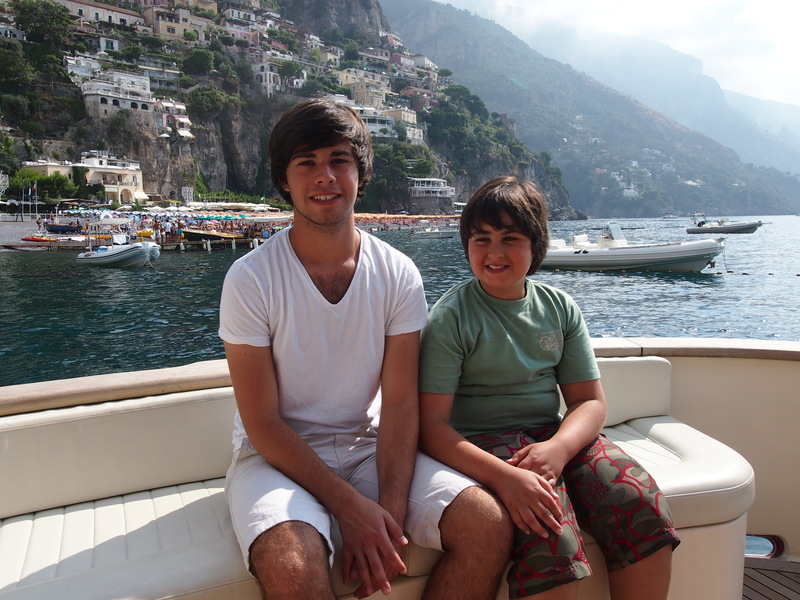 We set off on our own private boat tour in a beautifully crafted Italian Wooden Motor Boat. 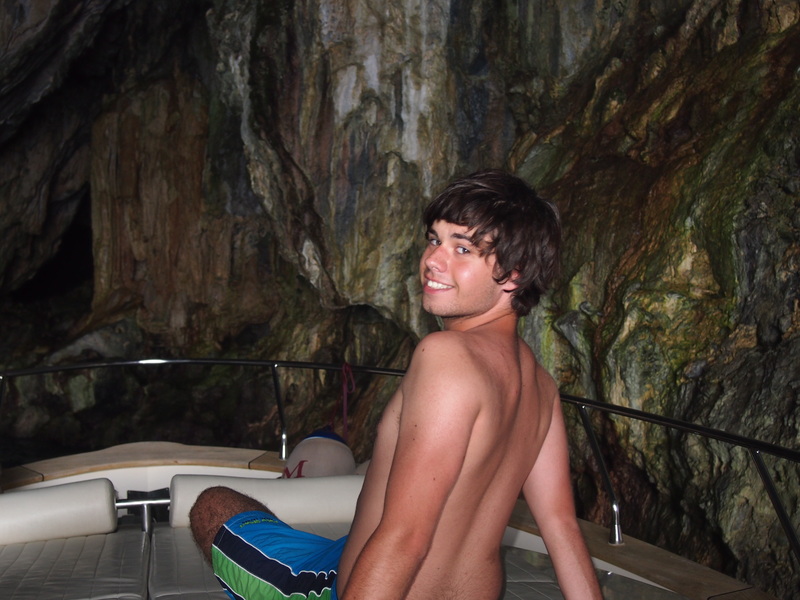 We were able to meander along the water along the way dipping into caves and stopping off at beaches only accessible by boat. These beaches were full of locals, no tourists to be seen. I am still to work out how a restaurant is able to function with no access to a road or any signage to advertise it was here, but function it did, selling delicious Italian dishes served to you on the beach! We were later to learn that this was just one of many secluded restaurants along this amazing coastline. 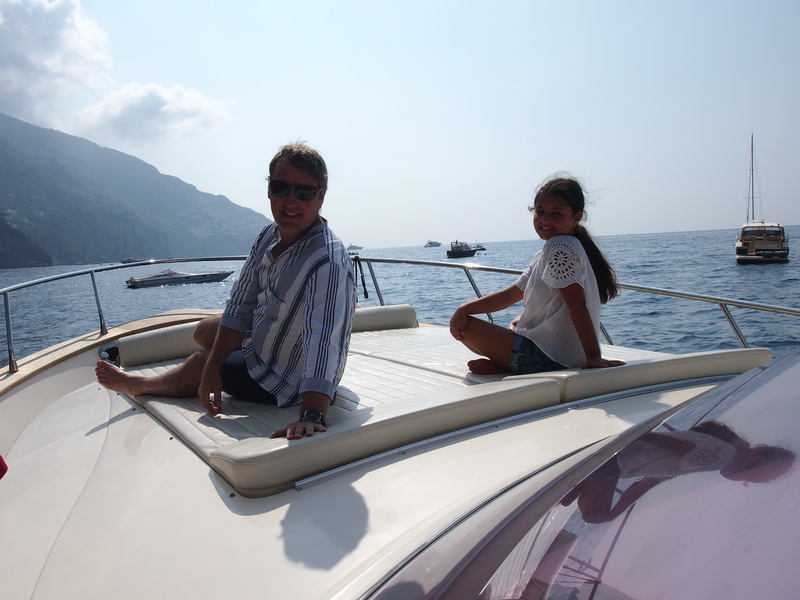 Unfortunately for me the motion sickness set in so after our beach side lunch the Captain was able to drop me off back at the pier in Positano while the rest of the family continued their journey along the coast line meandering to Sorrento. On our third day of our stay here the heavens opened and our plans to spend the day like locals hanging out at the local beach were thwarted. Enza came to the rescue suggesting we take a cooking course. 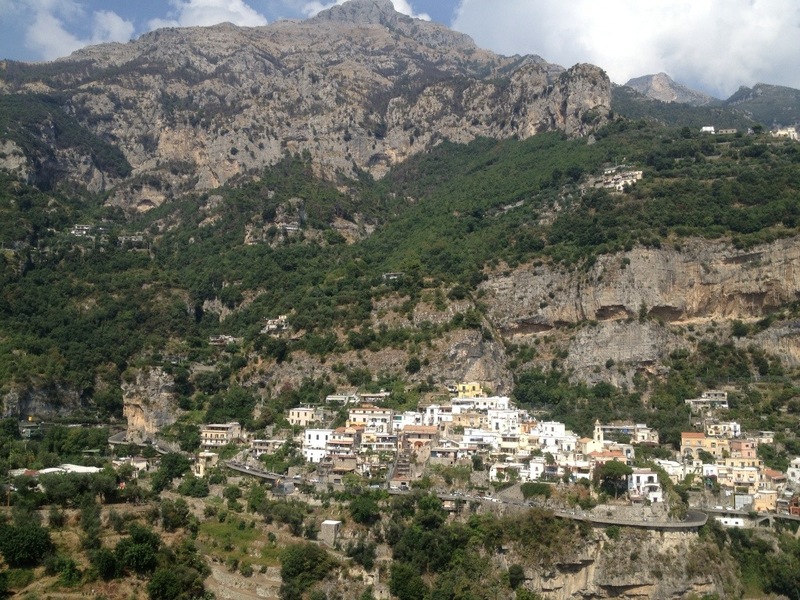 In no time at all we were whisked up to the village of Montepertuso high above Positano. 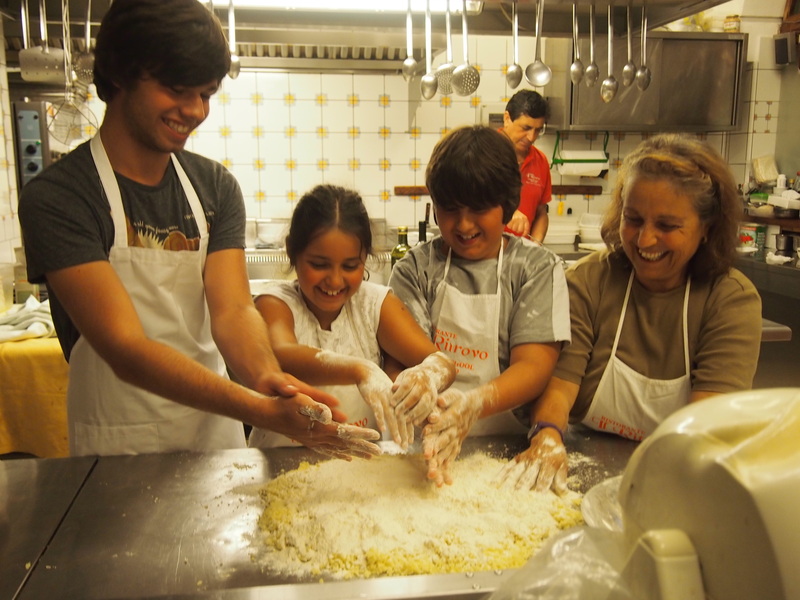 A cooking course was booked with the Il Ritrovo Cooking School based in a family run local restaurant. A shuttle service whisked us into the clouds and up we went to experience an afternoon cooking in a restaurant kitchen. Marylou, the owner’s aunt was our teacher allowing the kids to choose the menu. 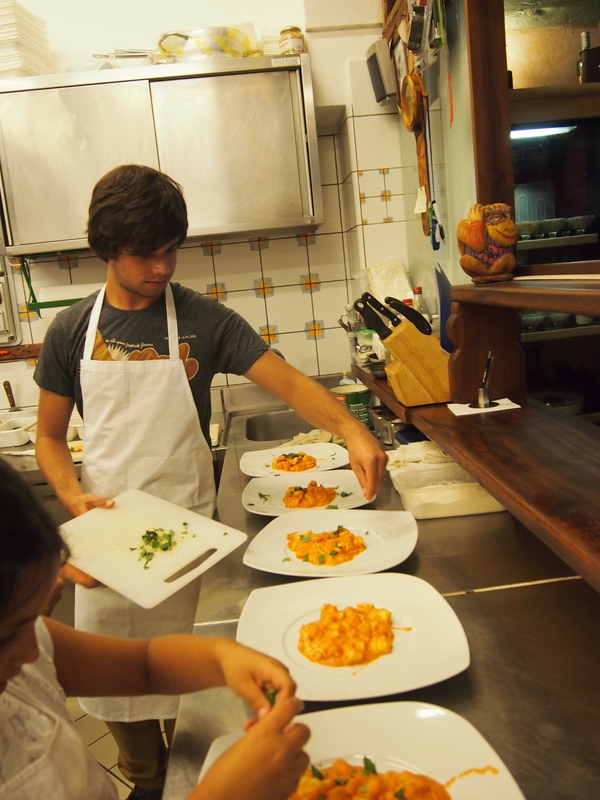 As we are all foodies, we cooked up a storm making gnocchi, zuchinni flowers, veal saltimboca and orange tiramisu. 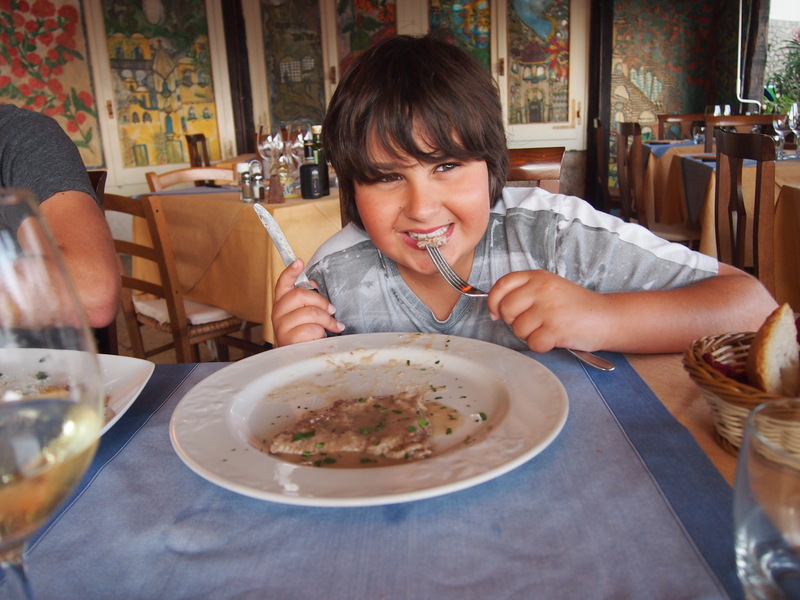 Salvatore the owner helped the kids with dishing their creations restaurant style. The added bonus was we ate it all!! 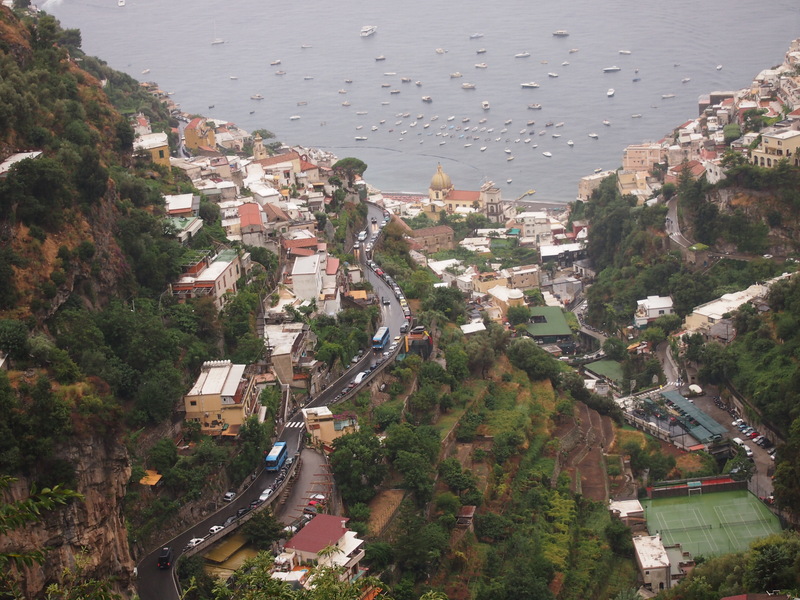 Views of Positano from the village of Montepertuso. 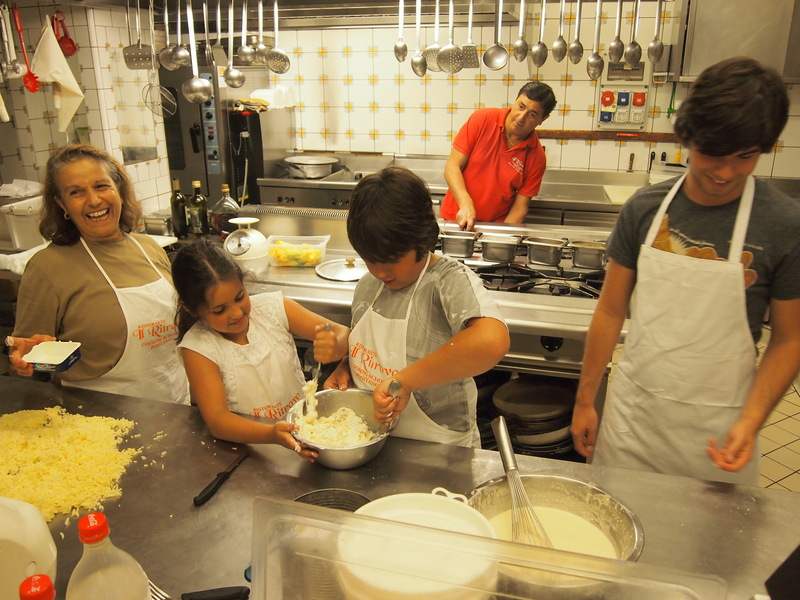 Il Ritrovo Cooking School Positano – Marylou teaching the kids to make gnocchi. 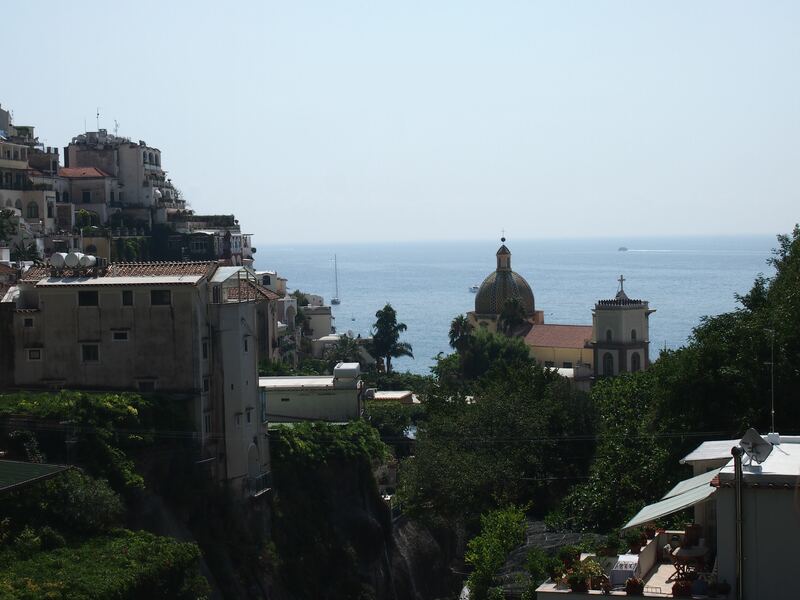 For our final day in Positano we decided to book a walking degustation tour of the town. The tour is run by Christine, an Australian who married a local Positanese. We spent our morning strolling through the small streets of Positano, stopping at eateries to taste local produce and places of interest to learn Positano’s history. It was a great way to end our time here and the children were begging to stay just one more day. We’ve only scratched surface of this wonderful place but I’m sure we’ll be back to taste some more.